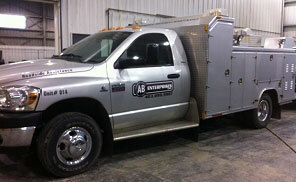 AB Enterprises specializes in service and support for all makes and models of concrete pumps, trailer and boom pumps. 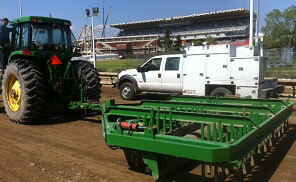 With our fully equipped mobile service units we can do most repairs in the field. We offer 24 Hour support and quick response time to help minimize equipment down time and put your equipment back in service as soon as possible. 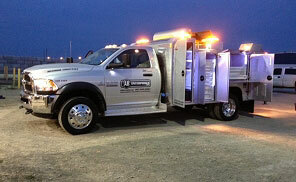 Our certified journeymen perform repairs to on-highway and off-highway equipment – on site or in our shop. 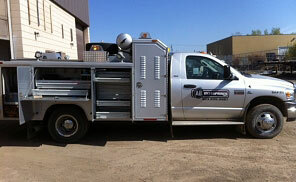 We also offer automotive repairs, small engine work, welding services and metal fabricating. 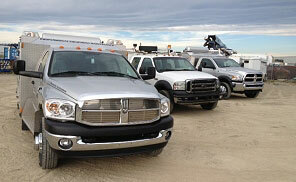 Our repair facility is a fully licenced Commercial Vehicle Inspection Station that is ready to serve you. Our Parts Department offers one stop shopping for all your equipment related repairs for highway equipment, off road equipment, small engine and automotive repairs. We offer a large inventory of Concrete Pump Wear Parts, Pipe, Hose & Accessories and Pump Spare Parts as an official Alliance Spare Parts Distributor. 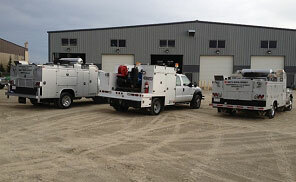 We are located in the SE of Calgary close to Stoney Trail and Glenmore Trail just off of 84th St.
With our fully equipped mobile service units, we can provide service to where you are: roadside assistance/repair, can do service, maintenance and repairs to your shop or jobsite. 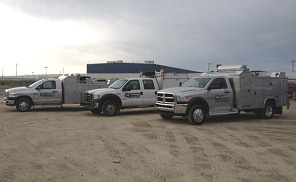 Our certified journeymen perform repairs to on-highway and off-highway equipment – on site or in our shop.Our repair facility is a fully licenced Commercial Vehicle Inspection Station that is ready to serve you. "Thank you. You guys were great. We'll keep your number handy. Thank you for your business"
"Would like to give a big shout out to you guys right from the phone call I put in to the Awesome mechanic you guys sent out to me in Calgary yesterday afternoon on 68th Street and McKnight, So much appreciated and I will definitely be putting the word out! Awesome thanks so much for everything! Cheers and all the best during Xmas and the New Year👍"
"Thank you for your help. I appreciate your quick response to my needs. 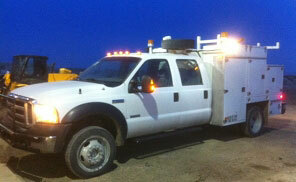 I will use you going forward for any other repairs that I need help with. Cheers"
"Thank you for your help. I appreciate your quick response to my needs. I will use you going forward for any other repairs that I need help with. 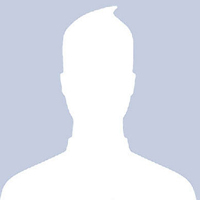 Cheers" Kyle Walkinshaw KAW Excavating Inc.